Just a couple short months ago, this was me at my wedding! 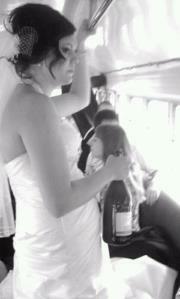 I was on our party bus, the Redneck Express, having a blast with a full bottle of champagne with my name on it. This year, in just a few more short days, I will be celebrating my first Valentine's Day as a married couple. Jessica took this pic with her camera phone- cool huh? Here's what I want to do: Find a bottle of champagne, have a nice dinner and a fun night on the town, give myself a pretty little updo channeling this picture, and feel just as pretty as I did July 16, 2011. Here's what I WILL be doing- departing from La Crosse, WI in a moving van and driving for 3 days across the country with my dog in my lap. Destination- Wenatchee, WA. *SAD FACE* totally unglamorous. BUT, I do want to show my husband I still care that it's Valentine's Day, and so should he dammit, so I'm going to plan a surprise for at our hotel. I'm not sure what yet, but in the meantime, I will be experimenting with some fun looks. Whether my surprise involves freshening up with a few awesome products in the bathroom and ordering out pizza delivery for room service, or if I can actually plan a rendezvous out on the town somehow, this look is sure to capture his attention! I will call this subtly glamorous. It's a natural look with little pops of color. Tell me what you think in the comments below! 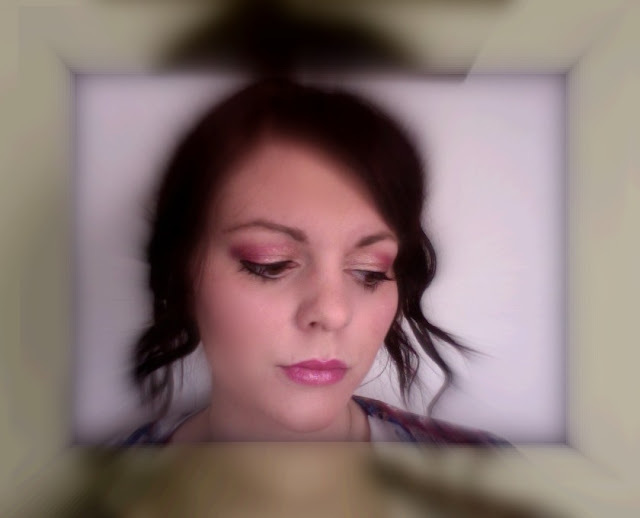 This look was really quick and easy and has a good combination of high end and low end products. If you really like the Golden Beige eyeshadow (it's a highly sparkly beige pencil shadow) you might find a dupe in Urban Decay's Midnight Cowboy. If you like the Woodstock in my crease, watch for our Bright Pink Eyeshadow post within our 15 day series. You might just find a really inexpensive dollar store dupe! The rest of my look was achieved with a small barrel curling iron and heat protectant of course. I curled my hair leaving the last 1-2 inches out of the barrel. 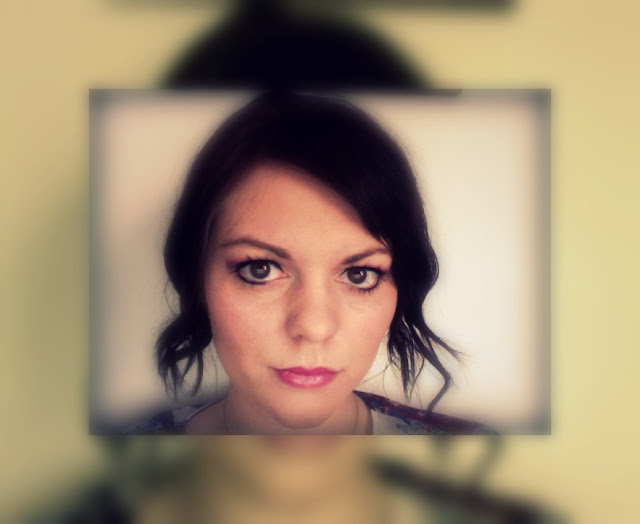 This allows for a more natural look, and not such a curly sue look! I pulled it back and twisted it into a bun, securing it with a handful of bobby pins, leaving the front pieces to hang out. Since my look leans more towards natural with little pops of color, maybe we can get Jessica to do a high drama look. She's good at those; her most recent dramatic post involved her awesome Illamasqua products- cosmetics for your alter ego. That concludes my first Valentine's day post. I'm sure I'll come up with another idea or two to share! Happy Monday, ya'll!